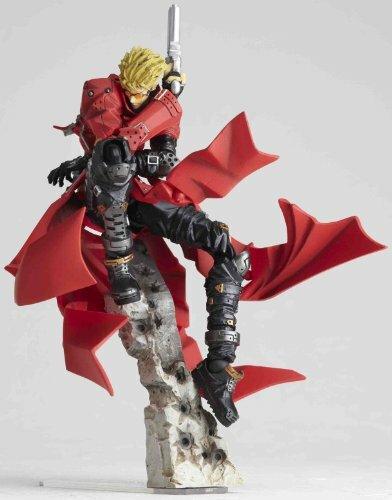 From manga and anime, Trigun, this is Trigun : Vash the Stampede Revoltech 091 . 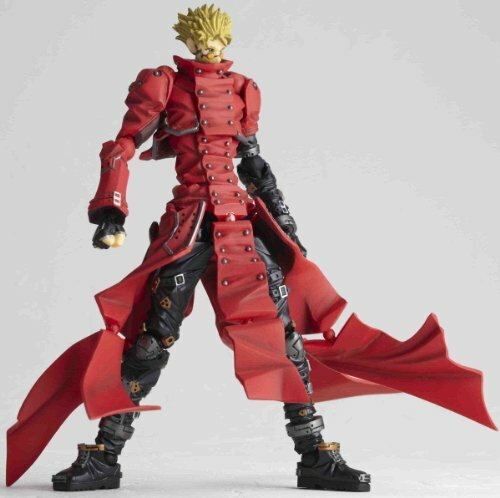 Based on the new designs from the 2010 Trigun Movie, “Vash the Stampede” has been turned into Revoltech under the complete supervision of Yasuhiro Nightow, the Author of the original. – On the 5 hems of the long red coat, 2 4mm joint has been used for a total of 10 joints. – It doesn’t just move well, but this figure has been equipped with new movement never been achieved before! – You can enjoy the ability to adjust the hems of the long coat flowing in all directions, as if it was really blown by the wind! – By changing each tip, you can increase the range of expression. 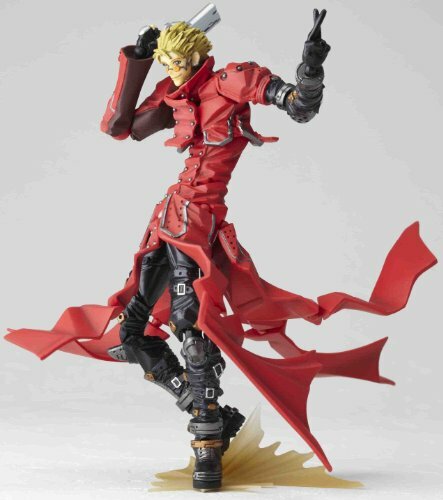 Packed with a total of 26 joints, you can enjoy a stimulating range of action poses! Jump! Run! Shoot! You can freely create the poses imaginable! – Three face parts with expression of gentle smile, serious expression and the sunglasses. – Comes with a gun-holding hand and the hidden gun on the left arm. 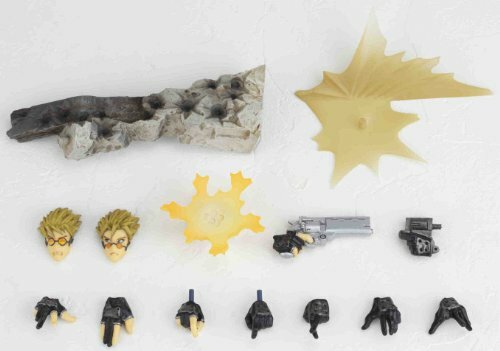 – A total of 7 hand parts excluding the 2 gun holding hands. – Uses a 4mm Revolver Joint, with high free movement range, on the wrist to allow great variety of gun action. – An effect parts for firing 6 bullets in the sound of a single shot has been included, to make things more dramatic! 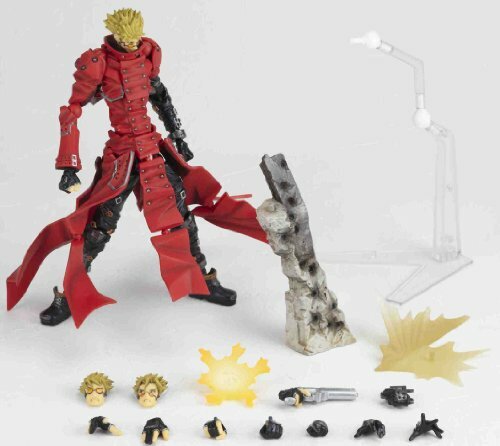 – Comes with the rubble stand for recreating a scene, display stand and effect base are also included. – Increase the play value by making him fight with “Nicolas D Woldwood”(No.92) due for release at the same time.